Hi! Nice to have you here! If you’re living with diabetes, you know what it’s like trying to figure out why the blood glucose levels go up or down, or how you should eat before or after exercise. With our help, your sweet life can be easier! With our automated diabetes diary, you can see your blood glucose levels and all the affecting factors in one view. We simplify the task of keeping a diabetes diary by importing the data from where it already exists, and visualizing it in a way that's meaningful for you and your healthcare personnel. Millions of people with diabetes need to keep track of their blood glucose, nutrition, physical activity, and medication. Writing all this information to a logbook is really tedious, which is why so many people fail to do it. You know which tools best suit your individual life style. Our aim is to make your choices possible. 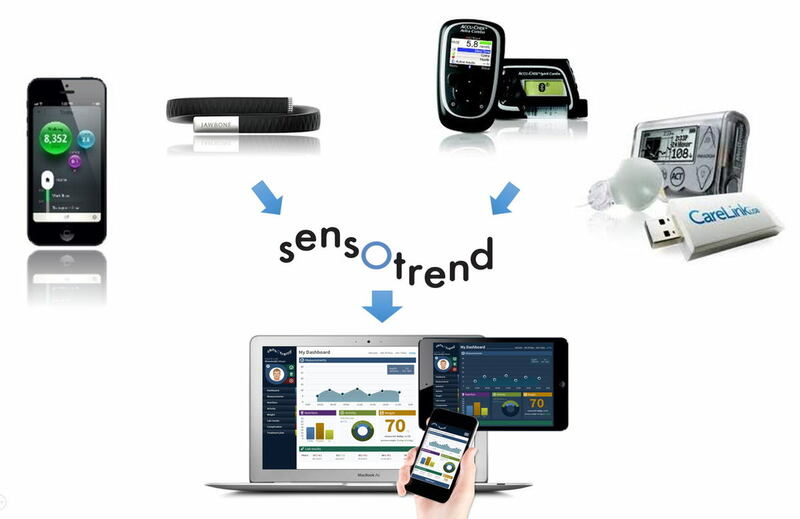 You can select your favorite activity tracker, meal logging app, blood glucose meter, and insulin pump or a memory pen. We import the data and generate visualizations allowing you to see what effect different meals and exercise have on your blood glucose levels, so you know how to adjust your medication accordingly. You can also track your progress and see how exercise and dietary choices affect your weight. We facilitate sharing your data with whom you choose. For example, before meeting your diabetes doctor or nurse, you can allow them to take a look at your data beforehand, so the time at the doctor's can be used wisely, concentrating on the things that need extra attention at that moment. We are in pilot phase at the moment, and will soon launch our service in Finland. We’re aiming for an international launch during 2019.